The World Health Summit brings together stakeholders and decision makers from every field in the healthcare spectrum, providing the perfect forum for exchange with experts from academia, industry, politics and civil society. It is the world’s foremost strategic forum for global health, and promotes thought leadership in the scientific and global health agenda. The WHS START-UP TRACK aims to highlight and display outstanding ideas and innovative business concepts that have the potential to change the way people are diagnosed, cured and informed, thus revolutionizing healthcare. The WHS START-UP TRACK offers 30 start-ups the chance to display their business ideas and to network with the world’s leading minds in the healthcare sector. 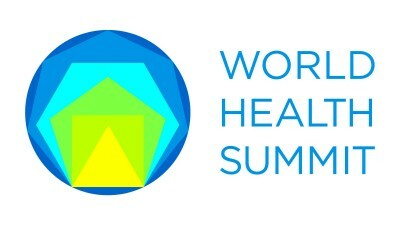 World Health Summit 2015 Patrons: Angela Merkel, Federal Chancellor of Germany; François Hollande, President of France; Jean-Claude Juncker, President of the European Commission.